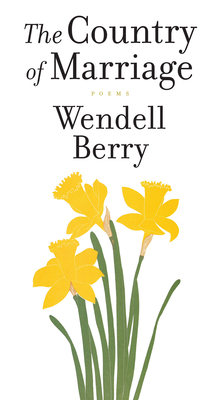 First published in 1971, The Country of Marriage is Wendell Berry's fifth volume of poetry. What he calls "an expansive metaphor" is "a farmer's relationship to his land as the basic and central relation of humanity to creation . . . Similarly, marriage is the basic and central community tie . . . And these relationships are in turn basic to, and may stand for, our relationship to God and to the sustaining mysteries and powers of creation." Each of the thirty-five poems in this collection is concerned with this metaphor. Most notably, there are more poems about the Mad Farmer, who advises us here to "every day do something that won't compute." Berry has here perfected a work that is immediately accessible but that becomes, as we read it again, always more satisfying, reverberant with manifold meanings.